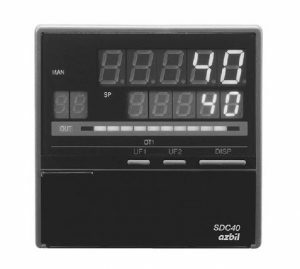 The C40B Digital Indicating Controller is a single loop digital controller for controlling temperature, pressure, flow rates, levels, PH variables, etc. A compact instrument with PID control and various auxiliary functions, it offers instrumentation control with a high level of cost performance. The Smart Loader Package allows the user to design any combination of functions.